WASHINGTON (September 6, 2017) – (RealEstateRama) — The National Association of Realtors® has honored 10 Realtors® as finalists of REALTOR® Magazine’s 2017 Good Neighbor Awards. This award honors Realtors® who make an extraordinary impact on their community through volunteer work. This year marks the 18th year the Good Neighbor Awards program has recognized Realtor® volunteers. Those being honored have donated their time and passion to improve and enrich the lives of the people in their communities. The 2017 finalists have cumulatively raised more than $48 million to make lives better for people in their communities. On October 3, five winners will be named from among the 10 finalists. Winners will receive a $10,000 grant and national media exposure for their community charity, including a feature in the November/December issue of REALTOR® Magazine. The winners will also receive travel expenses to the 2017 REALTORS® Conference & Expo in Chicago, where they will accept their awards at a presentation in front of thousands of their peers. In addition, five honorable mentions will receive a $2,500 grant. The public can also vote for their favorite of the 10 Good Neighbor finalists. The three finalists who get the most votes will be Web Choice winners and will take home additional donations of $2,500, $1,250 and $1,250 respectively. Cast votes at www.realtor.com/goodneighbor between September 5 and October 2. Berg runs one of the country’s largest rummage sales, which raises $225,000 per year to support people in need through 35 local, national and international nonprofits. She manages a force of more than 700 volunteers during the twice-annual, week-long sales. Through the rest of the year, she oversees the acquisition of furniture and high value donations. The Callaways mobilized thousands of local real estate professionals to serve as volunteer bell ringers, who collected more than $250,000 in red kettle donations for the Salvation Army. The Callaways also founded an innovative program that has raised $1 million to support addiction recovery. Dimiceli founded a nonprofit to ease the suffering of people living in poverty. He personally responds to requests for help by providing financial counseling and addressing individual needs, whether it’s providing emergency food assistance, transportation or child care so a person can hold a job, or paying overdue rent to prevent eviction. In 28 years, he has donated and raised nearly $17 million. Dolan is the driving force behind ShamRockin’ for a Cure, an annual event that has raised more than $2.5 million to help patients with cystic fibrosis. She uses her vast network of community connections to increase attendance and sponsorships to help CF patients get closer to a cure. Garbett founded a nonprofit that provides access to education to children in the rural Chiapas region of Mexico. In 18 years, his organization—which has built 177 classrooms and provides high school scholarships—has helped nearly 100,000 students. Hanna leads a nonprofit that donates millions to children’s hospitals to fund treatment for children without insurance or whose treatment isn’t covered by insurance. Since 1987, Hanna and his company’s 9,000 real estate professionals in eight states have raised and donated more than $14 million. McLean founded a nonprofit to support the more than 2,200 homeless children in Florida’s Brevard County with necessities such as food, clothing, school supplies, glasses and toiletries. They also provide nonessentials like sports equipment, band instruments and even college scholarships, allowing children to further their education. Nop created a nonprofit to encourage kids to set goals and achieve them by providing leadership training and scholarships. He uses his own experience as a child who fled the Khmer Rouge in Cambodia during the 1970s to motivate thousands of middle school and high school students to overcome their own challenges. Ting co-founded a residential and day program for developmentally disabled adults, the first of its kind to open on Maui since 1985. The facility includes a community center, a farm and a country store to provide life skills training and activities to help clients lead more independent and meaningful lives. Wilson-Bolton founded Many Meals, which feeds up to 600 people a hot meal every Wednesday. She also distributes 30,000 pounds of food per month through a food bank, and, as an ordained chaplain, runs a reception center behind her real estate office where she counsels people in need. REALTOR® Magazine’s Good Neighbor Awards is supported by primary sponsor realtor.com® and Wells Fargo. Nominees were judged on their personal contribution of time as well as financial and material contributions to benefit their cause. 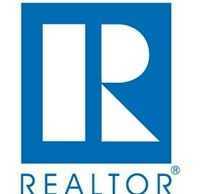 Realtor.com® is the trusted resource for home buyers, sellers and dreamers, offering the most comprehensive database of for-sale properties, among competing national sites, and the information, tools and professional expertise to help people move confidently through every step of their home journey. It pioneered the world of digital real estate 20 years ago, and today helps make all things home simple, efficient and enjoyable. Wells Fargo(link is external) is the nation’s leading originator and servicer of residential mortgages, offering home loans to consumers through the country’s largest network of mortgage locations and bank branches, online, and via phone. With more than 7,500 Home Mortgage Consultants across the country and robust digital capabilities, Wells Fargo is committed to meeting Realtor® expectations and homebuyer needs. Focused on a culture of caring for communities, Wells Fargo is a proud new sponsor of the Good Neighbor Awards to recognize the extraordinary contributions made by Realtors® in the communities where we together live and serve.